A new children’s book pushes aside fantasy and fairytales to provide a real and raw opportunity for mother’s to bond with their little ones while embracing their postpartum bodies. Photographer and blogger Liliana Taboas has taken the images and stories shared on her website Divine Mothering and created a children’s book, I Will Always Be Your Mother, to promote a body positive message. “There is nothing more raw, fierce, powerful, touching, and real than the immense love mothers feel for their children,” she says. In her blog following the release of the book on Amazon, Liliana explains five reasons why children should read the book. She says the book encourages the bonding experience between mothers and their children and humanises women’s bodies. The book also normalises motherhood, breastfeeding and postpartum bodies, and it builds new mother’s self-esteem and self-acceptance, as well as representing different ethnicities, she explains. “Let your eyes feast on the beauty that is what your body has accomplished,” Liliana says. “Let the words transport you to the amazing journey of motherhood. 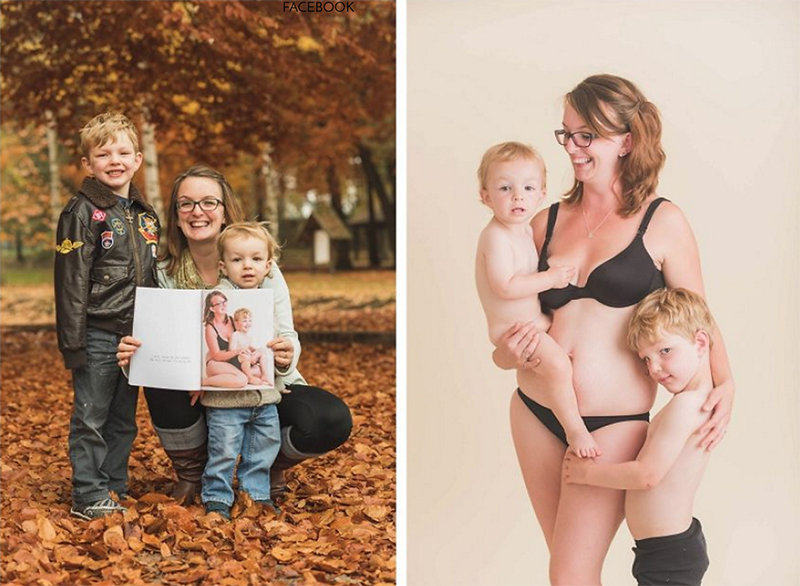 From conception through pregnancy, birth and beyond, women triumph through amazing changes such as these women who are beautifully captured in a series of powerful photos breastfeeding while continuing to forge ahead in their chosen careers.